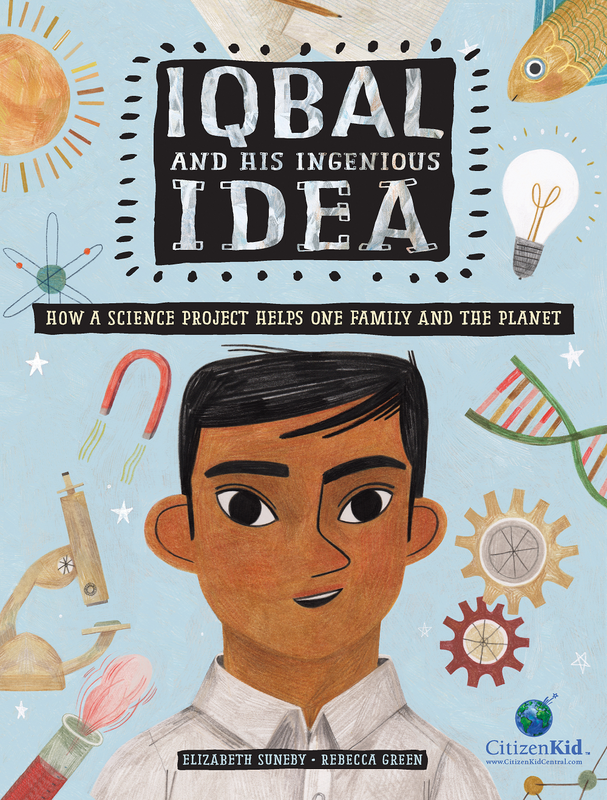 The winners of the 2019 AAAS/Subaru SB&F Prize for Excellence in Science Books exemplify outstanding and engaging science writing and illustration for young readers. Sponsored by Subaru of America, Inc., the prizes to recognize recently published works that are drawn from and inspired by sound science. "Through quality science writing and illustration, children can be inspired by the work of scientists and be awed by the world around them," said Rush Holt, CEO of AAAS and executive publisher of the Science family of journals. "We are proud to work with the AAAS to provide the younger generations the tools they need to be inspired to explore and prepare for the many opportunities a passion for science can lead to," said Thomas J. Doll, President and Chief Executive Officer, Subaru of America Inc. "Through the Subaru Loves Learning platform and our partnership with AAAS, Subaru continues its commitment to education and the field of science by helping recognize some of the most influential and informative works of the year." The prize was launched in 2005, when AAAS and Subaru partnered to honor five authors and one illustrator for their contributions to the ever-growing genre of science books for children. The following year, AAAS and Subaru began recognizing authors and illustrators for recently published individual works. Awards are given in four categories: children’s science picture book, middle grades science book, young adult science book and hands-on science book. The prizes are presented to the authors, except in the case of the picture book award, which is given to both the author and the illustrator. This year’s winners receive a cash prize, a commemorative plaque and will be honored at the AAAS Annual Meeting in Washington, D.C., in February. Elizabeth Suneby is an experienced marketing communications consultant and writer for start-up and established organizations, and over the last 12 years, also an award-winning author of books for children and teens. Each of her books inspires readers to find their voice and believe that they can make the world a better place. She wrote Iqbal and His Ingenious Idea: How A Science Project Helps One Family and the Planet to raise awareness about the health and environmental consequences of three billion people cooking with stoves that burn solid fuels. She learned about this pervasive issue when writing Razia’s Ray of Hope: One Girl’s Dream of an Education, a true story of a girl who longed to attend a new girls’ school outside of Kabul Afghanistan, founded by two women from Boston where Elizabeth lives. One of the founders is a friend of Elizabeth’s who lost her husband on a 911 plane and is committed to educating the next generation of girls to stop the cycle of violence born out of illiteracy. Both titles are part of the CitizenKid series published by Kids Can Press. Look for her ninth book to be published soon, No Room for A Pup!, a thoroughly modern twist on a venerable Yiddish folk tale that highlights the importance of gratitude. A graduate of Brown University (where she never took a science course) Elizabeth and her husband Per are the proud parents of two recent college-graduate scientists: A son who majored in physics and a daughter in biochemistry! Does the science gene skip a generation? Rebecca Green is an American illustrator and author who’s work can be found in children’s and middle grade books, editorial projects, galleries and more. She currently lives in Osaka, Japan. Elizabeth Rusch is an award-winning author of 15 books for young readers and more than 100 magazine articles. Her wide-ranging passions include astronomy, volcanology, invention, political science, art, music, history, nature and mud. She is inspired by stories of exploration and discovery, stories that have been overlooked by history, and stories that grapple with persistent questions. Whether writing fiction or nonfiction for children or adults or teaching workshops, she hope her work opens doors, opens minds, opens possibilities. Roma Agrawal is a structural engineer who builds BIG—bridges, sculptures, train stations, and skyscrapers, including the Shard, western Europe’s tallest tower. A promoter of technical careers to young people, she has advised policymakers on science education. Her awards include the Royal Academy of Engineering’s Rooke Award and an MBE for services to engineering from the Queen. She lives in London. Mary Kay Carson began her writing career working on the upper-elementary classroom magazine SuperScience at Scholastic in New York City. Carson has been a full-time freelance writer for twenty-five years and is now the author of more than fifty books for kids and teachers about space, weather, nature, and other science and history topics. She’s authored six titles in Houghton Mifflin Harcourt’s esteemed Scientists in the Field series, including Inside Biosphere 2, winner of a 2016 Green Prize for Sustainable Literature, and The Bat Scientists, an ALA’s 2011 Notable Children’s Books for Middle Readers. Her book Exploring the Solar System was the 2009 recipient of the American Institute of Aeronautics and Astronautics Children’s Literature Award. The State Library of Ohio selected Beyond the Solar System as a Choose to Read Ohio book for 2015 and 2016.